My favourite genre in books is usually a psychological thriller. Some serial killer on the loose, some unknown mystery and twist in the tale. But in recent years, my reading habits have reduced dramatically which I admit is not a good thing for someone who aspires to be a writer. Ironically, of the few books I read this year, the one that I enjoyed the most had no monsters, villains or even detectives. It was just an old man giving speeches and talking about life. But it is an old man who I have respected since the first time I saw him as an actor and that respect has only grown with time as I found out more about his philanthropic, broad-minded, feminist views in an era when it was deemed weird. 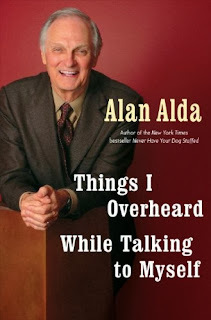 "Things I Overhead While Talking To Myself" is, at it's essence, a collection of speeches given by the extremely articulate and witty actor Alan Alda. Some are speeches given at graduation ceremonies, some are eulogies while others are addresses given at memorials. It could have been just that - a bunch of speeches - but with Alan Alda's creative narration, you get so much more. He begins each chapter with a heartfelt anecdote - how he nearly died atop a mountain in Chile, how he dealt with his mother's illness, his own polio, his impoverished beginnings or the decision to say no to easy money as a struggling actor while he was doing part time jobs to feed his family - and then connects it to a speech he has given at some future point of his life before a larger audience, showcasing the life lesson he learned along the way and how it related to us all. There is a reason he was so inspirational as an actor in M*A*S*H* and was called upon to deliver so many motivational speeches across the world in his lifetime. You get to see how life has moulded him and how he has chosen to react to adversity and therein lies the brilliance of this man. He does not enforce any life lesson on you - this is just a very likeable man smiling and talking to you while both of you sit back in your beach chairs, sipping cocktails as you watch the setting sun serenely. There is a child-like gleefulness in his prose and as you read the book, fans of M*A*S*H* will probably hear Hawkeye Pierce's voice (I know I did) reading the words to them, being alternatively naughty and grave when required. 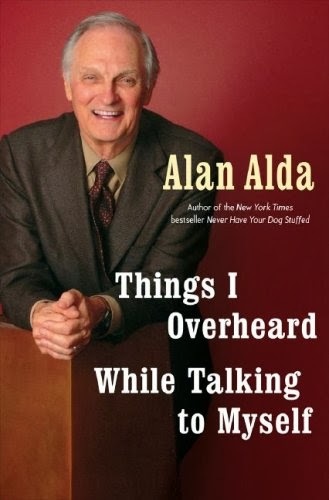 Of course, there is also the audiobook read by Alan Alda himself if you really want to have that soothing impish voice read out to you. In fact, the audiobook of 'Things I Overheard While Talking to Myself' was nominated for a 2008 Grammy for Best Spoken Word Album. In addition to three Director Guild Awards and seven People's Choice Awards, Alan Alda would go on to win the meagre sum of six Emmys and Golden Globes (each!) during an illustrious career and was a regular feature in Woody Allen films which suited his quick witted style of banter. He did put his fame from M*A*S*H* to good use, speaking out on the ills of war and even being christened 'the quintessential Honorary Woman: a feminist icon' by the media for his support of Equal Rights to Women back in the '70s when the very notion seemed ridiculous to so many. For me, it was a real find to get a copy of this book. While most of you would have chosen a Bollywood/Hollywood superstar to model yourself upon, as a kid growing up watching Star Plus when it first arrived in India, I was in awe of this man's character of a reluctant doctor stuck in a war in Korea in M*A*S*H*. I aspired to be like Hawkeye Pierce - not a doctor, mind you, but a man who could make people smile and get through the worst moments of their life while being insightful too. Reading this book just made me feel good about myself - because I chose a good 'star' to emulate: a broad minded thinker, a feminist, a man who wasn't afraid to admit it when he was wrong and was equally unafraid to take the road less traveled when he knew he was right. A man who did not allow the child within him to die and used his creativity to make people smile as well think during a career spanning six decades. It's not the greatest book you will ever read in your life... it's just a very good book by a very good human being who deserves more credit for all the inspiration he has given over decades to others. I love M*A*S*H. It is a syndicated show here and they show reruns all the time and I still sit and watch it. Alan Alda and his tongue-in-cheek humor had me hooked the first time I saw the series. 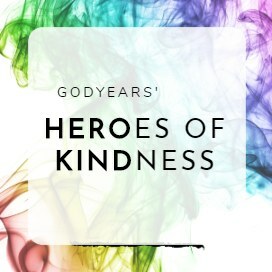 Alds routinely makes appearances as a character actor on shows and his very presence elevates the quality of the show. I am definitely getting this book. Thanks for such a wonderful review. I grew up on it and found it absolutely magical... Alan Alda was a tremendous role model with that amazing sense of humour... I still dont think many could match him even today. It's good to know that Alan Alda is the person who inspires you and you'd love to emulate.His cheerful personality was what attracted me the most. We enjoyed the Mash series and I remember how eagerly we would prepare ourselves as a family to watch the show in the evenings. I admire him too as an actor and came to know much more about him as a person in this review. He's indeed talented. Loved the review. He is one of my idols, no two ways about it.. i would prefer to have an autograph of his over any present day Bollywood actor, even if the rest of India told me i was mad! Thanks Carol.. glad you liked it. Thats where i saw it first as well... simply loved the humour and pathos which took place side by side within the same episode at times. do give it a shot... i myself barely read such books. I took it because of my awe for the author.. 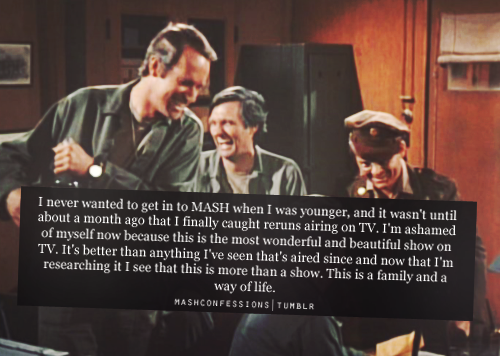 I am a huge fan of Alan Alda and MASH although it has been quite a while since I caught up with it. This post reminded me of the good old days when cable TV was the newbie in town and this was one of the best TV series around in those days. 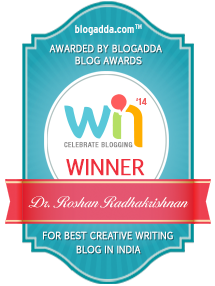 Looks so very inspiring and interesting! But I am still into thrillers and mysteries. Must graduate to non-fiction sometimes soon! i rarely read non fiction myself.. this was just one i really wanted for myself. You know Karanth... thats a lovely way of looking at it.. Thank you so much for that! MASH was one of my favs back then! 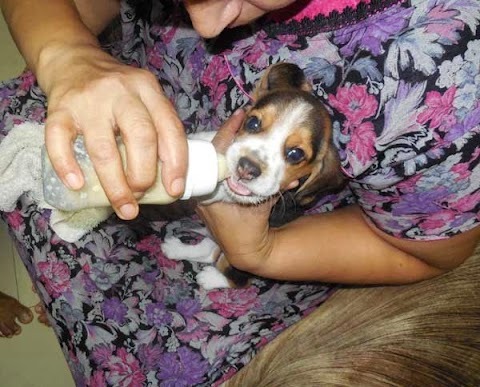 Good post! I have the entire show... treasure it frankly. Rewatched it all over again this year... I was not even born when this aired and I still am in awe of it. MASH is still a favorite!! Agree.. MASH is still in my top 5 even today! I read this book a few years ago. I used to watch Alan Alda host the show Scientific American Frontiers on TV. 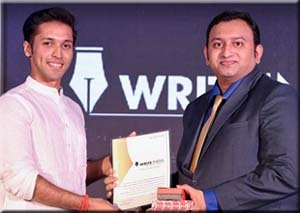 I figured hes a very down to earth, curious person, and that made me curious to read his book when I came to know of it...I was right about him. I loved that book of his. I read about this show in the book.. sounds exactly like something he would do. And yes, a very down to earth person in any interview. Thanks for sharing this. His graduation speech was inspirational. It is a warm conversation of a book, a guy talking directly to you ... and its just lovely for its thoughts.